Searching for that perfect business phone system that will solve all of your problems? Well we have a few solutions that you are going to love! Click to Call 704-729-7210 or visit our contact us page. 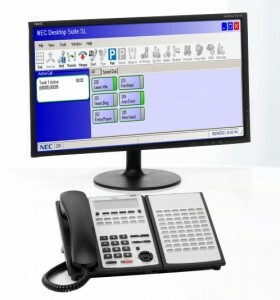 NEC SL1100 Communications System – 5 Year Warranty!! In today’s highly competitive business environment, effective and reliable communications are critical to a company’s success. 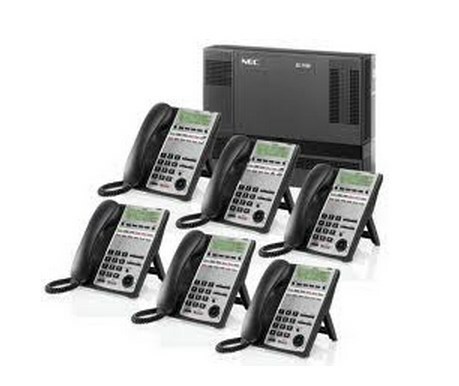 Therefore, it is very important that you invest in a unified phone system Salisbury NC solution that allows you to take advantage of the latest technology-enhancing Voice over IP applications that can deliver increased performance throughout your organization – that solution is NEC’s SL1100 Communications System. The NEC SL1100 telephone system is the ideal solution for any small to medium sized business. The SL1100 makes your team more productive, responsive and most importantly – reachable! The system comes out of the box with 4 CO lines and 8 extension ports but can quickly expand to a total of 196 ports. Do you have a lot of employees in one location and searching for a true voip phone systems charlotte nc solution, not a problem, the SL 1100 can connect them all and provide one touch dialing or directory dialing from any extension. There really isn’t anything this ip phone systems charlotte nc can’t provide for you. Do you have a lot of remote users who only have access to the Internet? Not a problem there either, as the system can expand to accommodate 64 IP phones that can be plugged in anywhere in the world that has internet access. Is your telephone bill too high? We know how you feel! We have helped many customers in the Charlotte area replace their business phone lines with SIP trunks and cut their phone bill in half… Yes, you read that right, if you are using conventional phone lines provided by any of the area phone companies including: AT&T, Time Warner, Windstream, Charter or Comcast, you are paying TWICE as much as you should be. Call us today for a free consultation. All we need is your current phone bill and we can provide you with a SIP trunking solution (phone lines come across the Internet) that will cut your phone bill in half! NEC’s SL Desktop Suite delivers to you an integrated unified communications (UC) solution that enhances your organization’s productivity and collaboration. This productivity-boosting solution offers you key functions that deliver excellent business phone system benefits. The SL Desktop Suite’s Desktop Client is an intuitive application providing full call control from your PC screen. With just a few clicks of your mouse, you can click-to-dial, manage calls and look up contacts. It also easily integrates with your Microsoft® Office Outlook® contacts to provide click- to-dial functionality within emails for further time-saving benefits. 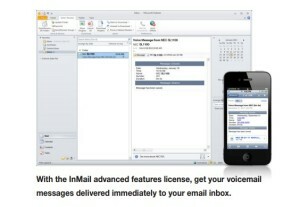 InMail is more than just a regular voicemail box. Packed with powerful business features, this is a solution to make keeping up to date easier than ever. It offers Message Notification to your desktop phone, home office or mobile phone to allow you to monitor your mailbox effortlessly from wherever you are. You can even choose to receive email notifications with the message included as an audio attachment. No matter what you’re up to, you can have the right recorded message to match. With three personalized greetings, you can select the one most appropriate depending on your availability or the time of day. Additionally, the Call Record feature enables you to keep track of important discussions. Recordings can be emailed to colleagues and stored for quick reference at a later time. IP Office is a highly modular IP telephone system designed to meet the needs of home offices, standalone businesses, and networked branch and head offices for small and medium enterprises. The award-winning IP Office gives growing companies a complete solution for telephony, messaging, networking, conferencing, customer management, and unified communications. IP Office is a versatile communications solution that combines the reliability and ease of a traditional telephony system with the applications and advantages of an Avaya IP telephony solution. This converged communications solution can help businesses reduce costs, increase productivity, and improve customer service. IP Office addresses basic telephony needs, leverages built-in convergence capabilities, and capitalizes on robust unified applications to deliver intelligent communications to your users and customers. This small office IP phone system simplifies processes, and streamlines the information exchange within systems to create simple and effective communication experiences. 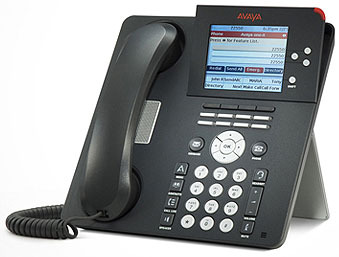 The Avaya IP Office phone system supports a wide range of telephones, but the Avaya 5400 Series Digital phones and 5600 Series IP phones have been specifically designed to work with IP Office and provide small and medium enterprises with a choice of solutions to meet business efficiency and customer service requirements. 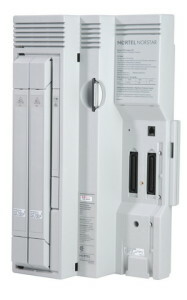 The IP Office 500 solutions can be expanded through the use of expansion modules. Avaya IP Office delivers full voice functionality with a comprehensive set of features. The IP Office system can be configured as a voice-only PBX, using traditional circuit-switched lines, or as an IP telephony server using high-speed ISDN/PRI dial-up access and/or direct leased line connectivity and/or SIP trunks. 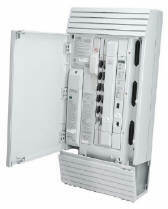 The IP Office 500 communication solution can scale up to 384 telephones and 8 T1/E1 trunks. can be achieved by using Expansion Modules. Optional support for up to 128 voice compression channels is available. The Avaya IP Office system includes a robust set of tools for administration (Manager), call tracking (SMDR), system monitoring and diagnostics (System Status Application). The ability for users to manage their own calls is supplied through a simple GUI (Phone Manager). Phone Manager functionality can be enhanced through simple licensing and to support IP softphones. The Auto Attendant application enables callers to route their calls to the relevant department/person without the need to speak to an operator/receptionist. Receptionists/operators can take advantage of the Soft Console GUI application to present a professional view of the business to all callers. TAPI (Telephone Applications Programming Interface) support enables IP Office to be linked to Microsoft Outlook and other popular desktop applications for screen pops and PC-based telephony management. Investment protection is offered through handsets supported by several Avaya platforms, and provides a migration path that is forward and backwards compatible. IP Office supports IP and digital telephone operation, with large display desktop phones with sophisticated screen-driven feature access. Single button on/off control and menu driven displays are available for selected features for ease of use. ESI is an industry-leading manufacturer of innovative communications servers, software and products for businesses. It offers its award-winning all-in-one phone systems for nearly every size of business from 2 to 1,000 extensions. ESI business telephone systems brings innovation to any clients work environment; with standard features such as Automatic Call Distribution (ACD), Live call recordings, Spoken “verbal” Help with just the press of the Help Key! ESI business telephone systems bring the best of both worlds without locking your business into either technology–VoIP or Digital telephone systems. Each ESI telephone system can be equipped with all IP telephones or all digital telephones or a mixture of both; thus allowing our clients the flexibility that meets both their needs and budget. Properly configured by DS1 Phone Systems, an ESI Communications Server can handle your heaviest communications needs for your offices in North Carolina or anywhere in the world. The ESI technology also allows you to connect up to 100 other phone systems together for 1 touch DSS dialing between offices! 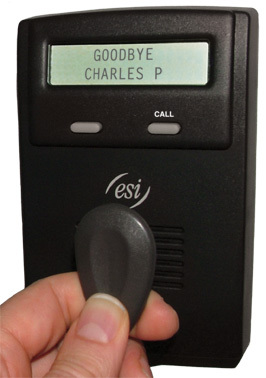 Each ESI telephone has a sealed membrane below the keypad to make it virtually spill-proof; making the ESI telephones one of the most reliable telephones in the industry. ESI telephone systems exceptional features and attractive pricing results in tremendous value for businesses of any size. ESI offers many features that other phone systems haven’t even thought of. How convenient would it be if you could simply point and click inside of Microsoft Outlook to make a call? ESI has been offering this for years with their VIP (Visually Integrated Phone) 7 Software! How would you like to program your own phone and have it customized to your standards? ESI does that too, with a simple drag and drop you can program other extensions, features and 1 touch speed dials all within the software on your desktop to make your phone a more productive tool! Please watch the following video to see all that the ESI VIP7 can do for you, I promise, you will be amazed! Wouldn’t it be handy if you could automatically log out of your phone once you left the office? ESI offers this wonderful feature as well! ESI Presence Management is a hardware and software solution incorporating an innovative combination of RF scanning technology and ESI’s business communications systems. Documented tracking of users’ work hours and attendance history. Watch this video to see how the Presence Management Module can help you. Harness the power of video and audio recording and make it work for you. Check out how ESI Media Management gives you insight in to what is happening at your organization and provides you with an amazing risk reduction solution. Available exclusively from ESI, Media Management provides call logging and recording, monitoring via live and recorded video, call detail analysis, data storage and archival, and much more. Every Nortel Norstar business phone system Charlotte NC begins with an Integrated Communications System that is fully digital and provides crystal clear calls. The compact ICS telephone system is perfect for small businesses. It has the capacity to handle 4-8 incoming lines and 16-24 extensions. It is by far the most popular and reliable small business phone system on the market today. Adding Caller ID to the system is a snap. Simply switch out the the LSDS card and install the CID card and then program the phones to receive caller ID on the displays. The Modular ICS is for companies with more than 24 employees and provides a robust system that will grow with your business. You can start with as little as 4 outside lines and grow to 2 PRI digital circuits that deliver 46 lines of communications for your business. The outside extensions start at 32 ports and can grow to 192 just by adding additional expansion cards and phones as needed. For dynamic, larger or multi-site businesses that need sophisticated capabilities, Nortel Norstar Modular Integrated Communications System, the premier Norstar platform, grows to support up to 280 ports in various configurations making it the choice of most businesses as a pbx phone systems charlotte nc. Software and system expansion modules enable you to grow as your business needs change, both in capacity and features. For example, you could start with basic voice messaging, then add desktop messaging, add enhanced call center services. music on hold or message on hold, or take advantage of networking to deploy telephony applications in one place yet extend capabilities to many locations. Click to Call 704-729-7210 or visit our contact us page. Looking for a Phone Technician to relocate your existing system? We can do that too! 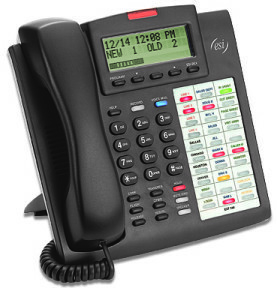 DS1 Phone systems is an authorized dealer for ESI and NEC SL 1100 phone systems. However, we are not an authorized dealer for Avaya phone systems or Nortel phone systems. Nortel Networks, Meridian, Nortel, Norstar, BCM, CICS and MICS are the registered trademarks of Nortel Networks Inc. DS1 is not affiliated, authorized or licensed by Nortel, Nortel Networks Inc. or Avaya Inc.
David was kind enough to come to my business and go over his different phone lines. No one else would that I called. He gave me great advice on selecting my phone system and it was a much better price than any of the other companies I called. He provides great service and I highly recommend him. David is great! I called and needed him asap. He rearranged his schedule to come out within an hour and help us. I knew nothing about phone systems or what we needed and he took the time to let us weigh our options and ultimately choose what was best. He answers my questions on the weekends and comes out whenever we need him to. I highly recommend him!! David is wonderful! I knew nothing about our phone system so he came in with zero knowledge of what was going on. I just told him what we wanted and he knew exactly what to do. He was very polite and was very patient with us as we are a busy office and were preoccupied with other things on top of trying to help him do what he needed to do. I highly HIGHLY recommend this company, David particularly!!! We couldn't have asked for better service. They fixed everything we needed at a great price. I just wish we would have called DS1 first. This company is how all companies should be. David Spaedy is Professional, courteous, very knowledgeable and most important did not rush through the job. Highly recommend his services.